Draft: 2005, St. Louis Cardinals, 5th rd. June 7, 2015 Gwinnett Braves released RHP Mitchell Boggs. April 20, 2015 RHP Mitchell Boggs assigned to Gwinnett Braves. April 18, 2015 Atlanta Braves signed free agent RHP Mitchell Boggs to a minor league contract. 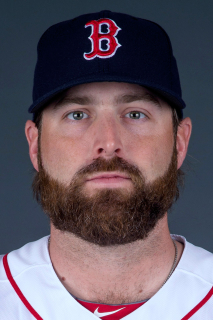 March 26, 2015 Boston Red Sox released RHP Mitchell Boggs. January 5, 2015 Boston Red Sox signed free agent RHP Mitchell Boggs to a minor league contract and invited him to spring training. 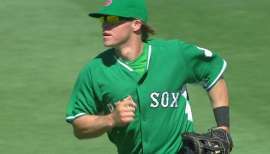 January 5, 2015 RHP Mitchell Boggs assigned to Pawtucket Red Sox. July 26, 2014 RHP Mitchell Boggs assigned to Fresno Grizzlies from AZL Giants. July 23, 2014 RHP Mitchell Boggs assigned to San Francisco Giants. July 23, 2014 RHP Mitchell Boggs assigned to AZL Giants. July 22, 2014 RHP Mitchell Boggs roster status changed by San Francisco Giants. July 1, 2014 Charlotte Knights released RHP Mitchell Boggs. April 2, 2014 RHP Mitchell Boggs assigned to Charlotte Knights. April 1, 2014 Chicago White Sox signed free agent RHP Mitchell Boggs to a minor league contract. 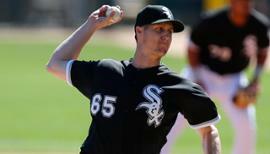 March 23, 2014 Chicago White Sox released RHP Mitchell Boggs. 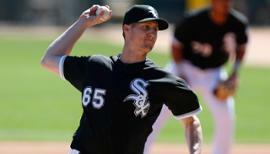 February 7, 2014 Chicago White Sox signed free agent RHP Mitchell Boggs. December 2, 2013 RHP Mitchell Boggs elected free agency. September 3, 2013 Colorado Rockies recalled RHP Mitchell Boggs from Colorado Springs Sky Sox. July 27, 2013 Colorado Rockies optioned Mitchell Boggs to Colorado Springs Sky Sox. July 20, 2013 Colorado Rockies recalled Mitchell Boggs from Tulsa Drillers. July 9, 2013 St. Louis Cardinals traded RHP Mitchell Boggs to Colorado Rockies. July 9, 2013 Colorado Rockies optioned Mitchell Boggs to Tulsa Drillers. May 31, 2013 St. Louis Cardinals optioned RHP Mitchell Boggs to Memphis Redbirds. May 18, 2013 St. Louis Cardinals recalled Mitchell Boggs from Memphis Redbirds. May 3, 2013 St. Louis Cardinals optioned Mitchell Boggs to Memphis Redbirds. June 10, 2011 St. Louis Cardinals recalled Mitchell Boggs from Memphis Redbirds. June 10, 2011 Mitchell Boggs roster status changed by St. Louis Cardinals. May 23, 2011 St. Louis Cardinals optioned Mitchell Boggs to Memphis Redbirds. August 22, 2009 St. Louis Cardinals recalled RHP Mitchell Boggs from Memphis Redbirds. August 22, 2009 Mitchell Boggs roster status changed by Memphis Redbirds. August 19, 2009 St. Louis Cardinals optioned Mitchell Boggs to Memphis Redbirds. August 11, 2009 St. Louis Cardinals recalled Mitchell Boggs from Memphis Redbirds. August 1, 2009 Mitchell Boggs assigned to Memphis Redbirds. July 31, 2009 St. Louis Cardinals recalled Mitchell Boggs from Memphis Redbirds. May 15, 2009 St. Louis Cardinals optioned Mitchell Boggs to Memphis Redbirds. April 15, 2009 St. Louis Cardinals recalled RHP Mitchell Boggs from Memphis Redbirds. April 15, 2009 St. Louis Cardinals activated RHP Mitchell Boggs.